This is a scanning of the handbill gotten in Akihabara. The color was corrected automatically. This handbill is for the advertisement of the sale of DVD. 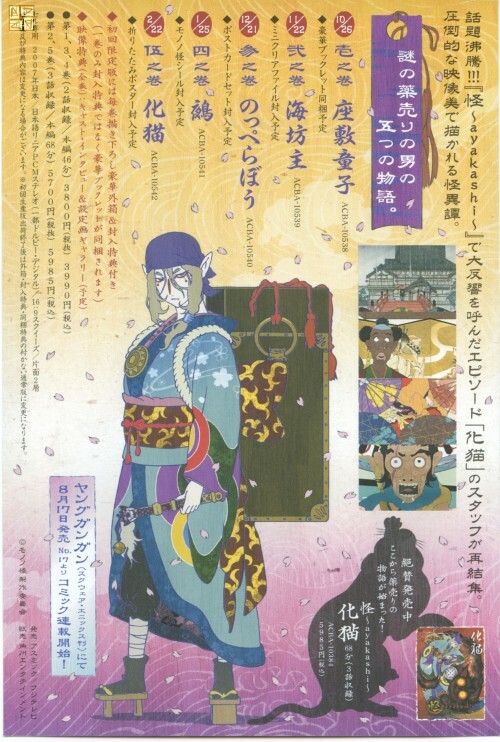 This is an advertisement of the animated cartoon named Mononoke. I like the visual design of this animated cartoon. This animated cartoonI like opening theme. Browse Mononoke Gallery: Recent | Popular.